Rarely have I seen a first scene foreshadow the spirit and encapsulate the soul of an entire serial so succinctly and aesthetically. Shehr-e Zaat opened with a close up of engraved Quranic verses and Persian poetry on the graves in the necropolis of Makli. The exquisite calligraphy, a visual reminder of an undeniable truth: There is no deity except God. He alone is the sustainer of all that exists. He is the One who never sleeps, to whom belongs everything in the heavens and the earth. Nothing can happen without His willing it. He alone has power over everything. He alone has the knowledge of the past, the present, and the future. His domain extends over the heavens and the earth. He is the most exalted One … With these majestic words still resonating in the mind’s eye, we were shown towering imperial monuments, with carved pilasters and ornate balconies, contrasted against the desolation of decaying memorials to past glory and ruined graves. Verily, nothing lasts forever. To Him we belong and to Him we shall return. One sequence, and we have the raison d‘être of Shehr-e Zaat – brilliantly done Sarmad Khoosat!!! 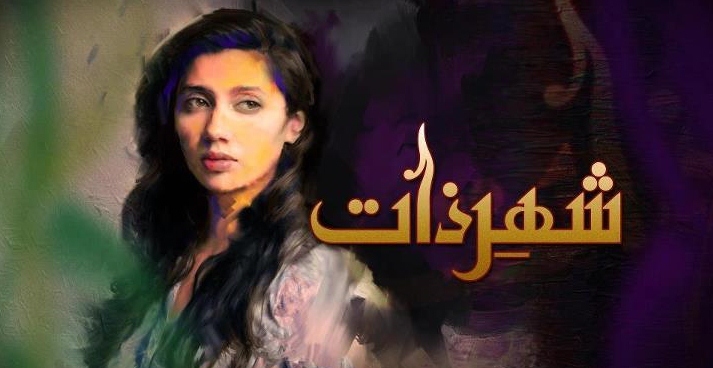 Backed as it is by two major production houses, to say that the expectations were humongous from this Umera Ahmed/ Sarmad Khoosat/Mahira Khan project would be understating the case. Given that Shehr-e Zaat is based on a very popular novella, meant that it raised the bar even higher, with every reader, including myself, anticipating their own personally imagined version to unfold on the screen. However, given that over-hyped and over-anticipated projects rarely hit the mark, I sat down to watch hoping to be pleasantly surprised, but realistically, expecting it to be just another run-of-the-mill first episode. Wow! That’s all I can say after having watched this first installment. Wow! Beginning with the exquisite opening sequence, just as Falak stepped over the threshold and into the cupola, admiring the adorned graves and peering into the windows of vaulted tombs, I too began my exploration of this richly nuanced story, offering as it does, tantalizing views of that which lies between the text and the subtext, the faaniand the laafaani. Looking forward to seeing how layers of meanings are gradually peeled back as we make the journey from wujud to zaat. The changes to the original story, the fleshing out of existing characters, and addition of new characters, have added so much texture to the narrative – excellently done by Umera Ahmed. In just one episode, I have fallen in love with Naani. How fabulous is Samina Pirzada? We just saw her in Durre Shehwar, in a seemingly similar elderly role, but here she brings something else together to the table. Loved her!! Hina Bayat too was just seen and loved as Hajra in Mataa-e Jaan, and I had feared that she would be typecast, but again, kudos to her for upping her game that much more. Mehrunissa is nothing like the silent, long suffering Hajra. Mohib Mirza, I had been looking forward to seeing him here, and he did not disappoint. I liked his pairing and interaction with Mahira. I just wish he wore a bit less makeup. It kinda detracts from the viewing experience if the guy is wearing more eyeliner than the gal. My highest praise though must go to Mahira Khan. I had been hard on her during Humsafar, calling her an average actress with flat dialogue delivery, so let me just say this , girl, you rocked it today! Standing up to a stalwart like Samina Pirzada and a mature actress like Hina Bayat is no easy task, but Mahira was such a revelation today. Her camaraderie with Mohib was very natural, and her bonding with Samina was to die for. Watching them together it was easy to forget that this was not a real grandmother/granddaughter pair, and that this was not reality. Loved it! While the entire episode was beautifully done, underpinned by deeper meanings, the most fun and totally unexpected sequence has to be the one with Sarmad as the Humsafar aficionado Asad Jaleel, Falak’s wannabe suitor. I laughed at the reference to the Humsafar hype and in some ways found the open acknowledgment very refreshing, yes let’s give it a nod and move on. The review would be incomplete without mentioning the superb camerawork of the DOP, Khizar Idrees. The editing was crisp. The technical and creative teams behind the look and feel of Shehr-e Zaat deserve applause. Hazrat Shah Niaz’s meaningful lyrics, brought to life via Muzaffar Ali’s music and the rich vocals of the inimitable Abida Parveen added much to the soulful ambiance. I am so glad that the original rendition was left untouched. Something I generally never comment on, but which really caught my eye this time was the publicity poster for this serial. I loved the artsy creative feel to it; like the opening shot, it said so much without using words. Fabulous! Finally, a huge round of applause for Sarmad Khoosat, the story teller who truly exceeded my expectations today; this is not an easy story to tell, and even though this is only the first episode and far too early for predictions, but I think Shehr-e Zaat is IT. The next big one that we were all waiting for after that other little forgettable serial, the title of which I think began with an H – anyone here remember that one ?! SeZ appealed to me for one big reason – it made me stop and think about things I was starting to brush aside/ignore, at a time when I was just running my daily run non-stop. I think my soul needed a gentle reminder to slow down and reflect inwards and SeZ was that reminder. I loved the opening sequence and the imagery the director tried to create with that. Falak’s attitude, her lifestyle, her relationship with her parents, nani, friends were so well brought out – an example of the writer, director and actor all being in perfect sync. There was nothing jaw-dropping, but a quiet establishment of what Falak was, what mattered to her. A very solid start. The Humsafar bit was a bit overdone (went on for a while too) – but it was only the first episode and it loosened up the show a bit. The song “yaar woh humnay…” was just perfect. Immediately sets the tone and mood for the play. Loved Hina Bayat, she plays mummy in so many different ways! Her Husna is nothing like her Hajra is nothing like Mehru. The trio of nani-mummy-Falak were a real treat to watch. Is it true that nani’s character was completely new – ie added for the play and not in the original novel? Samina Peerzada’s portrayal was so lovely, can’t imagine the story without her. Not a fan of Mohib Mirza’s acting (not Mikaal’s I’m afraid, I find his expressions errrr too subtle 🙂 )…in fact, the men in this play completely took a back seat and it was all the women driving the play forward. I did like the art work too in the titles – it fit in so well with the whole artist-y feel of the play. Thanks for pointing me to this thread SZ, will leave more comments as I progress with the show.